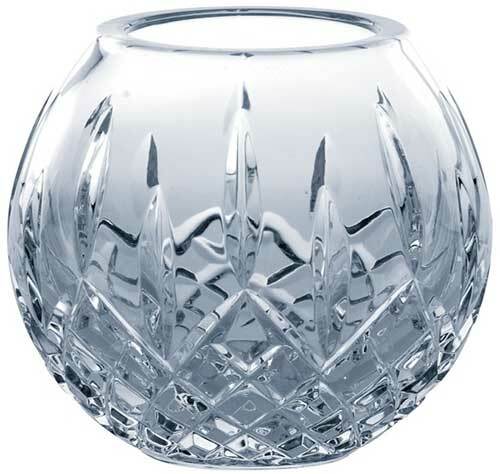 Longford is the most enduring crystal design from Galway Crystal. This Irish bowl features the cut crystal motif of the Longford pattern. Longford is located in the midlands of Ireland and is the Viking word for long port. The Longford rose bowl is ideal for cut flowers or may accommodate a small pillar candle; it measures 4" tall.